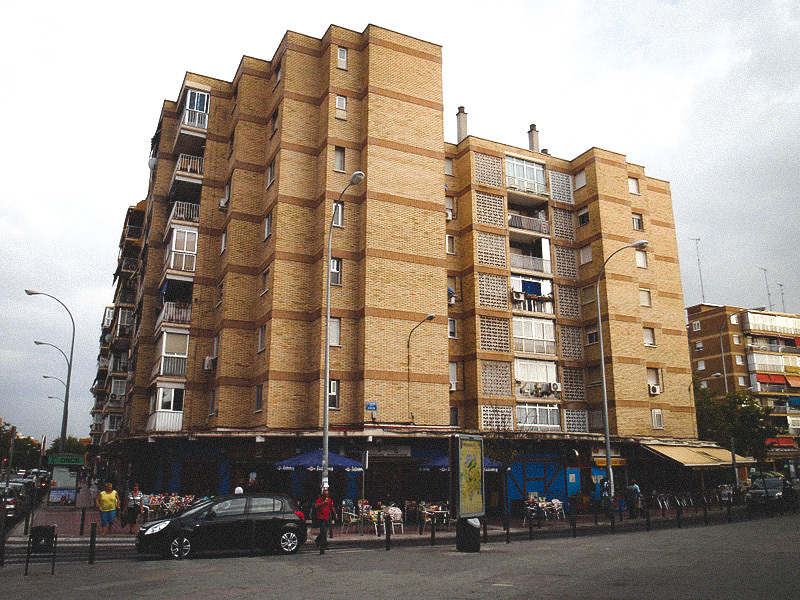 The Spanish city of Móstoles (205,614) is a good example of the numerous initiatives taken by municipal authorities across the world to carry out ambitious and innovative strategies to protect and realize the right to housing. As many surrounding municipalities, Móstoles suffered harshly the effects of the economic crisis that began in 2008 and still continues today: the city is located in the southern metropolitan belt of Madrid, Spain’s capital city, and is largely composed by a working class social majority. Faced with an unprecedented housing emergency, an evictions’ crisis and a hike in the number of homeless people, Móstoles set in motion a comprehensive strategy to reverse the situation and protect the right to housing. At the current moment, the set of actions carried out by the municipality ranges from direct support for families at risk of being evicted to thoroughly promoting social housing or defending the rights of homeless people. In order to know more about the initiatives taken by the city on these hot topic in local government agendas, our Secretariat has interviewed Móstoles Deputy Mayor, Gabriel Ortega. This report includes context information on the “Homeless Bill of Rights” ratified by Móstoles in 2018 and promoted by the European organization FEANTSA. Q1: Tell us about Móstoles local context: What’s the current situation like in terms of social exclusion, housing emergency and homelessness? 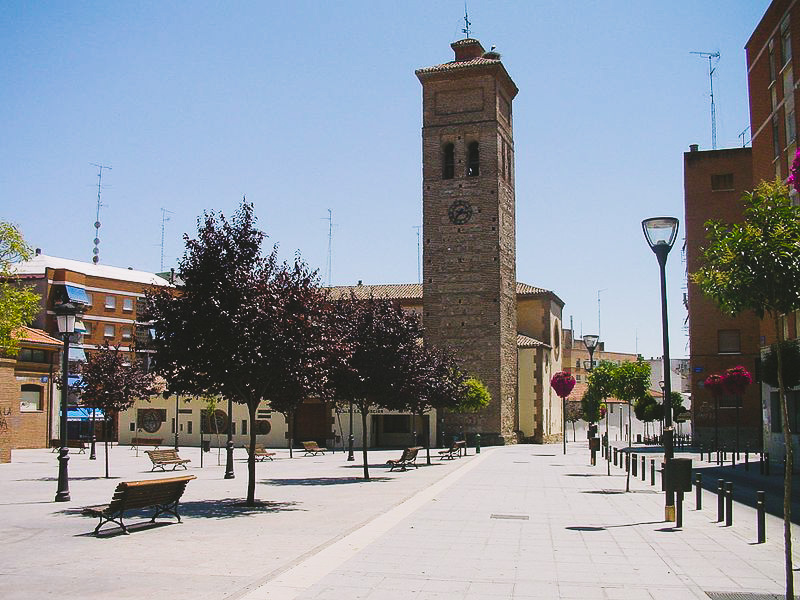 Móstoles is a city in the southern belt of Madrid largely composed by a working class social majority. Annual average per capita income in Móstoles is at 19,000 euros, while that of Madrid is at 30,000 euros. In addition, the late economic crisis has propelled a significant rise of social and economic inequalities. Our municipal social services went from having 8,000 users before the crisis to having 25,000 people in 2017. In short, the crisis has especially affected the weakest and most vulnerable parts of our population. Within vulnerable groups, those who are in a situation of especially marked social exclusion are the homeless. That is why we saw the need to articulate concrete answers for this profile of the population. Q2: What have been the guiding principles of Móstoles strategy in regards to homelessness? 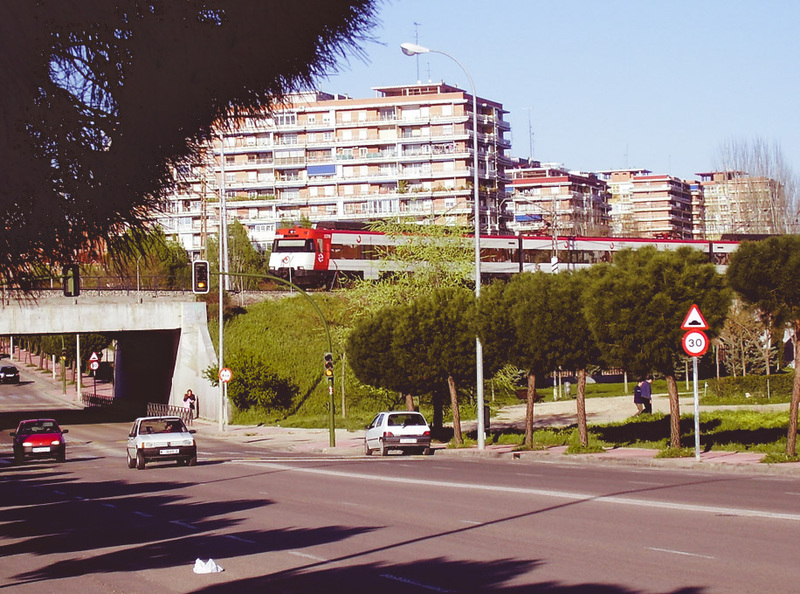 Móstoles has been engaged in this area since early 2000’s. Back in those years, a day center for homeless people was set up, offering laundry, personal hygiene or food services for people living on the street. A “cold campaign” was also set in motion, where our municipality offered a night shelter in circumstances of extreme cold. In parallel to this municipal shelter, previous administrations also launched a municipal restaurant, so that those who had problems in affording dinner or lunch could have a social alternative. What we have done in recent years has been, on the one hand, to expand and reinforce these policies, trying to complete socio-community intervention services. If we only had a day center, now we currently have a nocturnal emergency center (in operation since 2016) that has already hosted up to ninety people. This initiative allows us to help people living the street, to offer them social services as municipal administration, and to complete the services given by our day center. This center now has 30 seats and covers a real need that does not only exist in our municipality but also in all southern Madrid metropolitan area (where there are only two similar services, including the one offered by Móstoles). In addition to this initiative, we have also implemented other measures, such as the “Habitat Housing First” program. Through this initiative, 10 people who had been living on the street for a long time have been able to start living in independent apartments in a semi-autonomous situation. This has a great impact over the normalization of their lives. These 10 people continue today at 100% and with very good results in terms of inclusion: given that the fundamental need of having a home is already covered, other aspects necessary for the normalization of their lives can be tackled. These elements, added to those that we already had and that continue, have contributed to generate an alternative for many homeless people that we had in our city. Q3: What is the political vision of your municipality in regards to the right to housing? We believe that housing and unemployment are the two biggest problems of our society. Their situation has worsened in recent times, due to the consequences of the real estate bubble and the economic crisis. Both phenomena combined left many people of our country in a situation of residential exclusion. As a public administration close to the people, we can feel this trend every day. That is why Móstoles has put in place local mechanisms such as an “Office for the Right to Housing”, which offers a “legal mediation” service that has already achieved very good results regarding stopping evictions. Currently in Móstoles, only a 4% of evictions are actually executed on those initially programmed. Through a Municipal Urban Land programme, we also count with a public park of 600 housing slots, and through recent years we have managed to multiply social housing offer, providing affordable housing to specifically vulnerable groups. Within this housing park we count with emergency apartments, the number of which has been expanded from 40 to 137 since 2015. As municipality, we have focused on providing alternatives to those who were in need. These initiatives have also led us to increase our efforts in data collection, in order to count with all necessary information regarding the population experiencing residential exclusion. Since 2015, we have worked on indicators on those groups that are most affected by residential exclusion. In this regard, single-parent families – normally, single mothers with dependent children – stand out as an especially vulnerable group. In perspective, carrying out efforts in regards to data collection has allowed us to give more adjusted answers, but there are still many other steps to be taken, although unfortunately the financial situation and some national laws have restricted our operational capacity. Q4: What role does cooperation with third sector entities play in this area? For us, this is a strategic aspect of social policies regarding homelessness and, more broadly, all forms of residential exclusion that might not be so dramatic but are still serious. 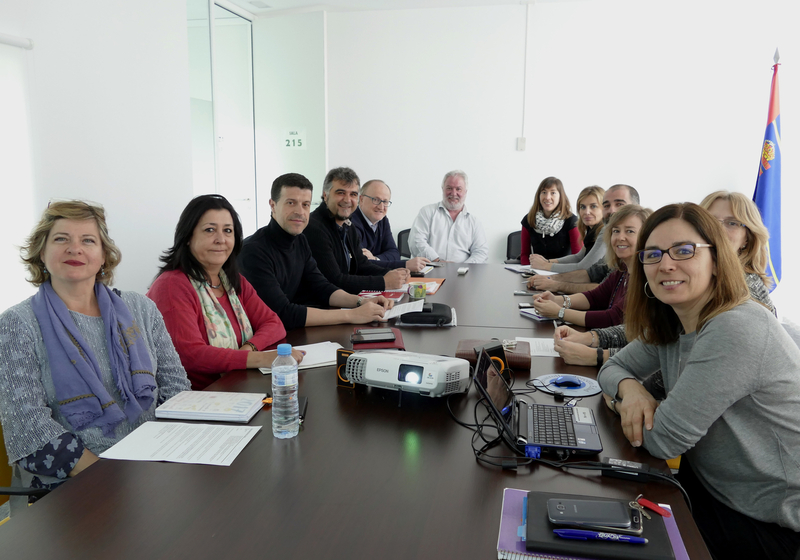 In Móstoles, we set up a “Taskforce for Social Inclusion”, which brings together municipal social services and third sector entities that work in our municipality in this area. Together, we work both on a diagnosis of the social situation of the and on a work plan in order to clarify what steps are necessary to face housing-related problems in our city. Strengthening the links between the Office for the Right to Housing and all other social services is also important. Through this, we are not only reaffirming the “social function” and value of housing itself (in opposition to merely seeing it as a good with a speculative or financial profitability purpose), but also allows us to better work together with the Office (legal and social workers), social services and civil society. This offers a stable and shared mechanism from which to work with social and third sector entities that are already attending and supporting homeless people in our municipality. Q5: What are the specific functions of the Office for the Right to Housing? The functions of the Office are fundamentally two. The first is to connect housing issues with social services of our municipality. This allows us to better channel users to those services they need. In this sense, through this service we also manage an emergency financial aid line that allows us to preventively tackle evictions, helping families to face their payments and avoid losing their home. That is why the Office counts with a staffer from municipal social services in charge of providing all necessary links. The second function of the Office refers to legal services. Through the Office, our municipality has an established line of contacts and mediation initiatives with the dean of Móstoles courts, police services, real estate entities or even international investment funds that have a presence in the municipality. The objective here is to stop evictions in our city or reaching agreements that will free people who have been victims of financial speculation, such as moratorium agreements, payment dams or debt forgiveness. Q6: The Homeless Bill of Rights aims at protecting the human rights of homeless in regards to guaranteeing those basic conditions that ensure a dignified life for people living in the street. What follow-up has Móstoles given to this part of the bill? We really liked the Homeless Bill of Rights because we felt it spoke a language that is much aligned to our own line of action; that is, effective work and strategies. We try to ensure that people who live in a homeless situation do not feel helpless or hopeless, and that they feel they have all the support of their local administration. This is why we have street teams to monitor their day-to-day situation. We also work flexibly in order to help them regularize their administrative situation in order to be able to access health or social services. Regularizing their situation at an administrative level is so important so many times because it is the first step to access fundamental rights as what they are: full citizens. The realization of this interview was facilitated by FEANTSA: a federation of European national organizations working to end homelessness in Europe. FEANTSA was established in 1989 and brings together, at the present time, about 130 organizations from 30 different countries. FEANTSA and our Committee have worked together in the past: in 2016, organizing and promoting a set of recommendations on the rights of the homeless people in the New Urban Agenda; and in 2017, bringing the phenomenon of homelessness in the Meeting of cities and regions for the right to housing organized by the Committee and UCLG in Barcelona. María José Aldanas, representative of FEANTSA’s Secretariat, highlights how the Homeless Bill of Rights is an open initiative promoted by her organization that focus on providing a framework for signatory municipalities to protect all human rights of homeless people. In other words, it is about guaranteeing rights such as “a postal address, basic sanitary facilities, emergency accommodation or the right to vote” of those people in a temporary street situation. In this regard, the Charter reminds us the importance of “ensuring no discrimination in accessing public space or in local ordinances”, as well as “the link between human rights and the right to the city”. In this sense, Aldanas emphasizes the importance of coordinating the work different municipal departments and services. She also notes that grassroots organizations behind the Bill’s promotion “do not focus on its signing, but on the work and participation that entails: for this reason, the document can be adapted to each local context”. In that sense, she also remembers the importance of encouraging the participation of the homeless people in the process. Aldanas highlights how, apart from Móstoles, several European municipalities have already joined the bill this year: Barcelona, Santiago de Compostela, Maribor, Slovenj Gradec, Kranj y Murska Sobota.